National Card & Letter Writing Month 2019 — Constellation & Co.
April is my favorite month! I'll be joining our friends at Pretty By Post (for the 3rd year!) in the Send Cards Spread Love letter writing challenge. This year’s challenge is to send at least 5 cards for 5 days. Totally doable! Feeling more ambitious? Join the Write_On campaign! The challenge they’ve thrown down is to see how many letters you can write during National Card & Letter Writing Month. Share Your Progress With Me! I'll be using the hashtags #sendcardsspreadlove and #Write_On all month on Instagram and Twitter. Share your snail mail sending progress with me, and I’ll shout you out on social! Want to stock up on cards on a budget? Check out our sale page for a ton of $2 cards! You can also use coupon code “APRIL” for 10% off your purchase on our website from now until the end of April. The discount even includes your first month of Card Club if you sign up now and use that code! The Snail Mail Superstar YouTube channel will be full of brand new videos for this special month! Check back in often! 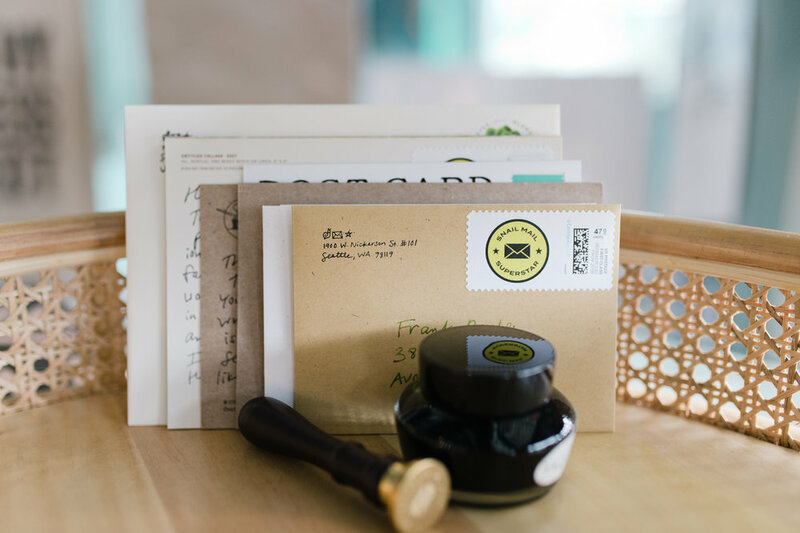 We're hosting a free letter writing social on April 14th from 10am - 1pm! For more info, click here. The Card Club packages for the month of April will be snail mail themed, and will include the brand new items mentioned above! In case you missed it, here are some goodies I’ve put together for National Card & Letter Writing Month (and for snail mail success all year)! Listen to my epic snail mail themed playlist on Spotify! Read my guest article on Pretty By Post: "The Hurdles to Good Correspondence"